When you’re creating an outdoor living space for your family to enjoy, beauty and comfort are high on the list of priorities -- and your outdoor cushions should provide both. Whether you’re planning to sit down and chat with a friend over iced drinks, curl up on a chair with that summer bestseller you’ve been dying to read, or just lounge in the sun for a lazy afternoon, you want to be comfortable. However, lounging on wrought iron or wicker isn’t that comfortable. That’s where comfy cushions and pillows for your outdoor furniture come in to save the day! They’re also the best way to add instant color, texture and interest to your patio or deck. Maybe the original cushions that came with your patio furniture have weathered several summers and need to be replaced. Or perhaps you’d love to change the whole look of your outdoor living room with the seasons. 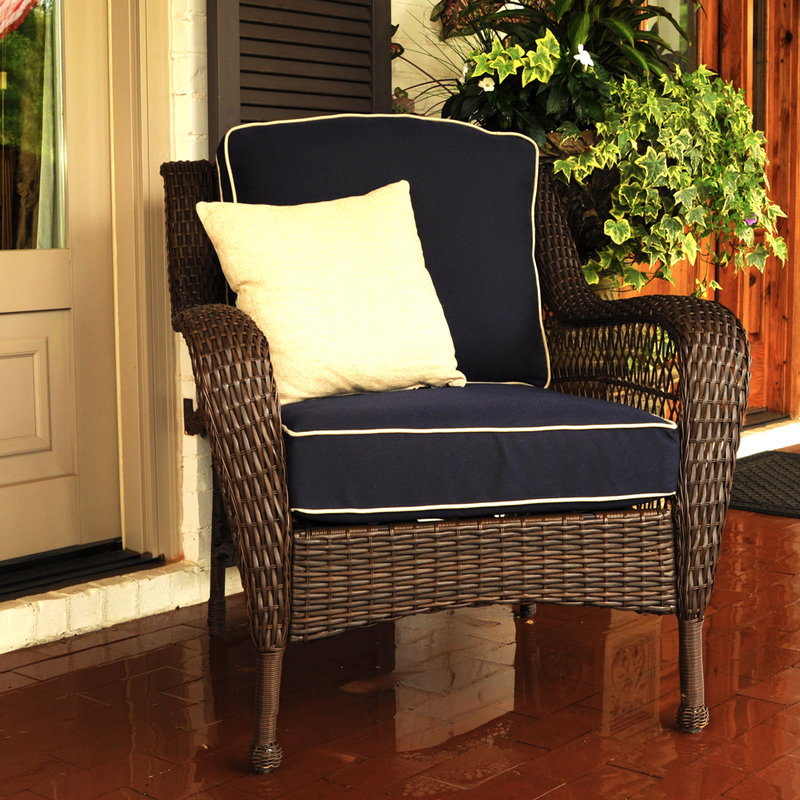 No matter the reason, DIY outdoor pillows and cushions are a spectacular way to freshen up your patio furniture. It’s not always easy to find the perfect pillows and cushions. Yet, making your own cushions gives you complete creative control. Unlike pre-made pillows, DIY patio cushions allow you to choose the size, color and print. 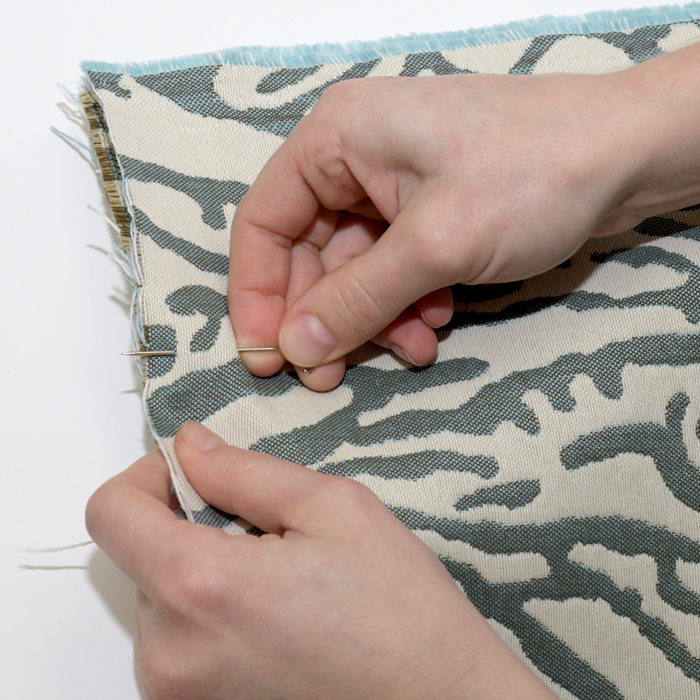 They’re also extremely easy to make yourself, thanks to Phifer’s incredible range of gorgeous designer outdoor fabrics and our detailed step-by-step guide. Before you begin, check out part one of our How-To Guide on reupholstering outdoor furniture. You’ll find lots of useful information about how to make cushions for outdoor furniture or replace the chair pads on your patio dining set, including tips for calculating how much fabric you’ll need, working with outdoor fabric, and more. If you’re not reupholstering your old cushions but are making throw pillows from scratch, you’ll need some cushion or pillow foam inserts. These inserts can be purchased in a number of places, including craft stores, online or even at big box retailers with a home crafts section. They come in a variety of sizes and shapes, but it’s important to look for inserts specifically designed for outdoor use. These inserts are made from a special foam that is less absorbent than indoor cushions, drains more easily, and resists moisture and mildew, so they stay fresh and dry quickly after rain. 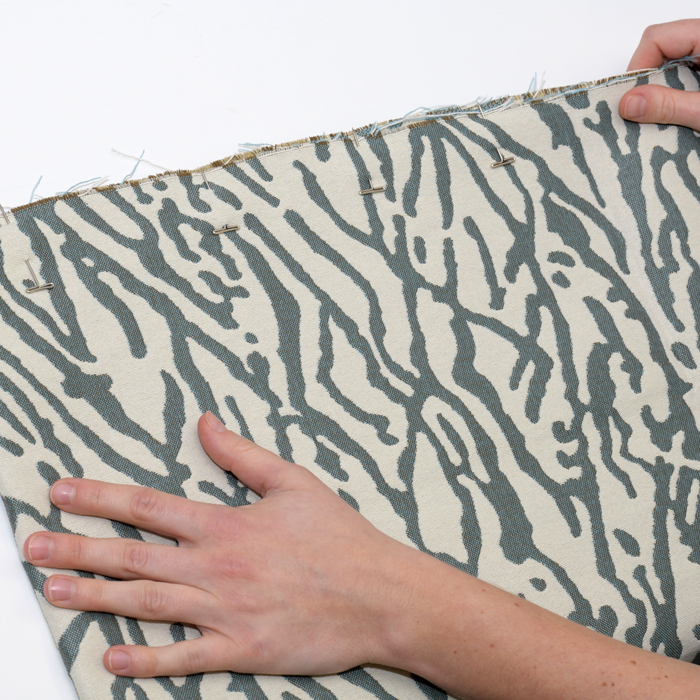 If you are making new pillows or cushions, first you’ll want to measure your inserts. To get the fabric dimensions for the top and bottom panels take the width and depth measurements and add 1 inch to both numbers. This will give you a ½ inch seam allowance all around. If you’re just making throw pillows, this should be enough. If you are making cushions for a bench or patio lounger, you might also need panels to allow for the height of the insert. For the front and back panels, you’ll want the width measurement and the height measurement of your insert. For the side panels, you’ll need the depth measurement and the height measurement. Don’t forget to add a ½ inch seam allowance on each side to these panels. Pin the pieces together: With wrong sides facing each other, pin the fabric pieces together, checking your reference photos. The simplest type of cushion covers are very much like pillow cases, with just two flat pieces sewn together on three sides (like a pillowcase). If this is the case, go ahead and pin all three sides, leaving one open(usually the back seam) to replace the cushion foam -- you’ll close it by hand later. If your pillowcases have side panels, you will probably want to pin and sew one seam at a time to make sure everything fits together evenly. 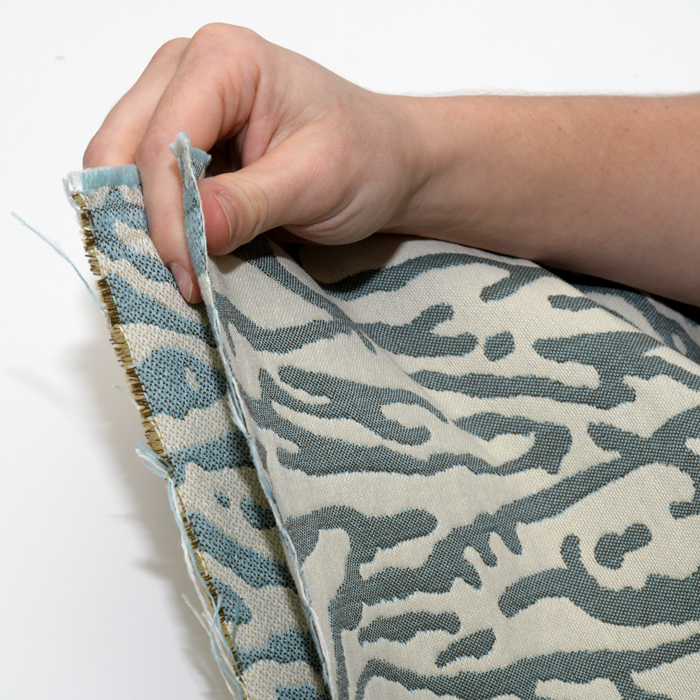 Start sewing: Most cushions have straight seams, which should make this step pretty easy to accomplish. Take your time and slowly stitch along the pinned edge, using a short stitch. Take it one seam at a time, remembering to leave the back side open so that you can fit the foam cushion insert back inside. 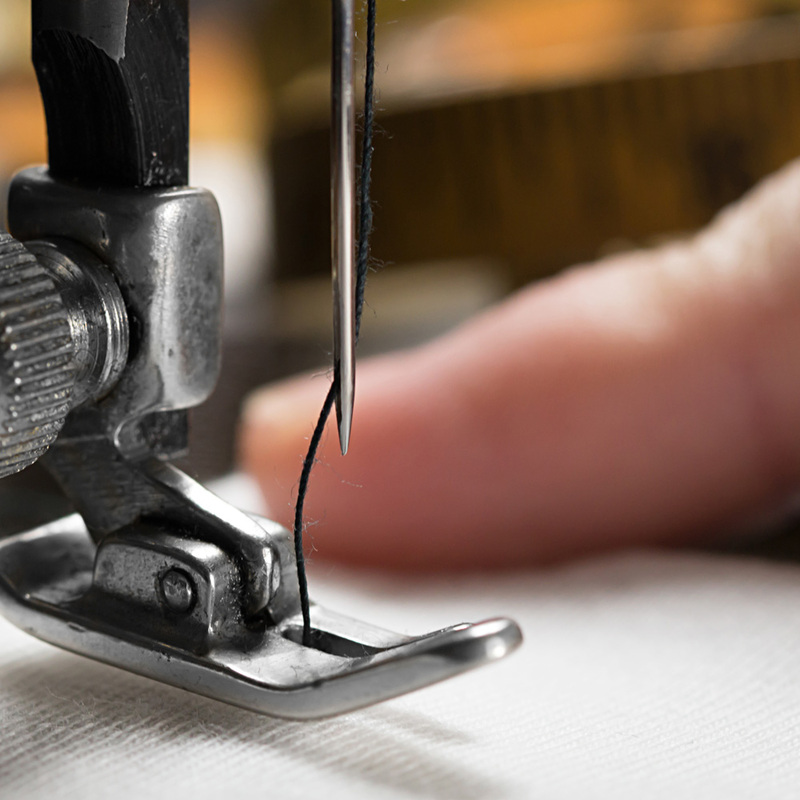 Trim your seam allowance: Once all of your seams are sewn, cut the seam allowance down to ¼ inch and cut a tiny notch in the seam allowance of any corners to help them lay flat and smooth. Iron your seams open: This step isn’t mandatory, but it will give your finished chair cushions a neater appearance. Once you’ve finished, turn the covers right side out. Replace foam (or new pillow insert) and hand stitch closed: Pull your new covers over the foam/inserts and smooth them out. The fit should be snug. To close the last seam, use a whipstitch, blind stitch or ladder stitch. Staple new fabric over seat form: If there was cotton batting under the original cover, replace that first. It will help the new fabric lie more smoothly and soften any rough edges. Just fold the fabric over the seat, and begin stapling it down to the wrong side. Take your time, adding a staple every inch or so. You will need to smooth, adjust, and stretch as you go, to avoid wrinkles. Finally, step back and admire your handiwork. It’s time to take a break and enjoy some time relaxing on your fabulous new cushions! Choosing the best material for outdoor furniture cushions is easy when you know what you’re looking for. For outdoor cushions and pillows, you want fabric that’s soft but also sturdy, and you want an extensive choice of color and pattern so that you can make cushions that coordinate with and enhance your overall design. Phifer’s range of designer outdoor fabrics have exactly what you need. Here are our favorite types of fabric for cushions. 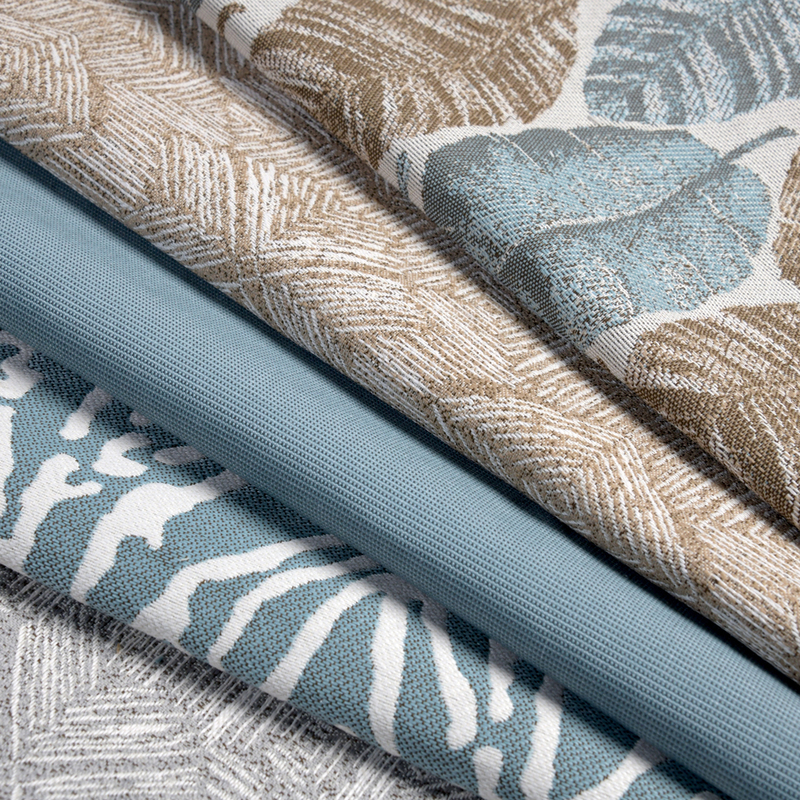 Phifer’s GeoBella Cushion Fabrics are an ideal marriage of style and comfort. 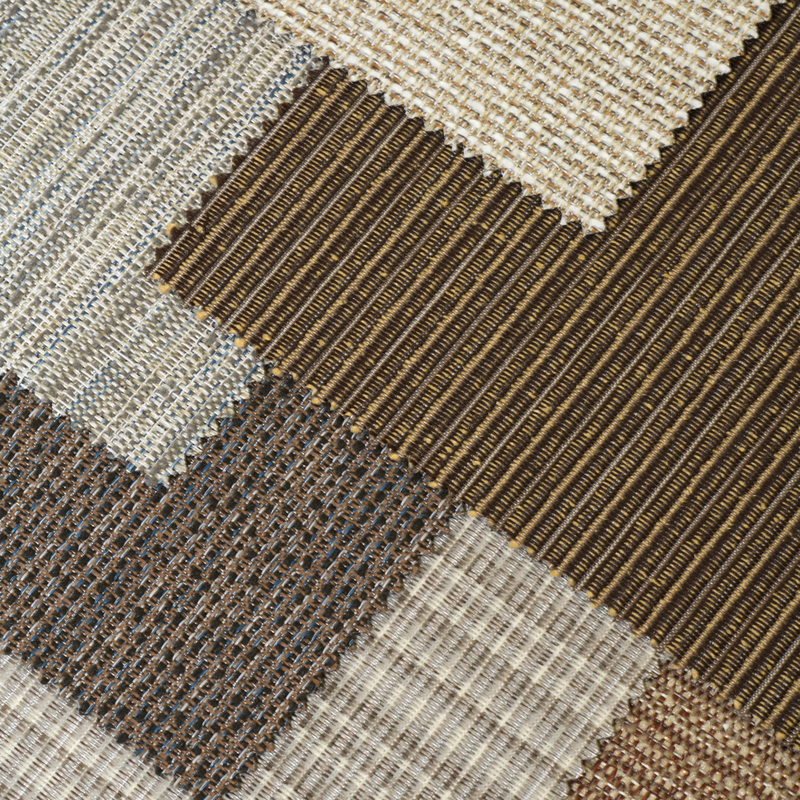 This line of eco-friendly, high performance indoor/outdoor fabrics is made of 100% recyclable yarns. With soft, touchable textures and the comfort of indoor furniture fabrics, they also feature all the durability you need for outdoor pillows. GeoBella® fabrics are available in a host of chic coordinating colors and prints and intricate weaves so that you can choose the perfect fabric to express your personal vision. Combining the softness of olefin yarns with the strength of vinyl-coated polyester yarns, Phifertex® PVC/Olefin Blends ​are antimicrobial, stain and fade resistant and a hard-wearing option for outdoor living. Ready to design your own DIY outdoor cushions? Discover the possibilities with the Phifer Outdoor Fabric Visualizer! This is your chance to experiment with your favorite fabrics before you buy. Using sample images, this tool lets you preview your design ideas to see how everything will come together in real life. Mix and match, play with color, tones and textures …go wild! 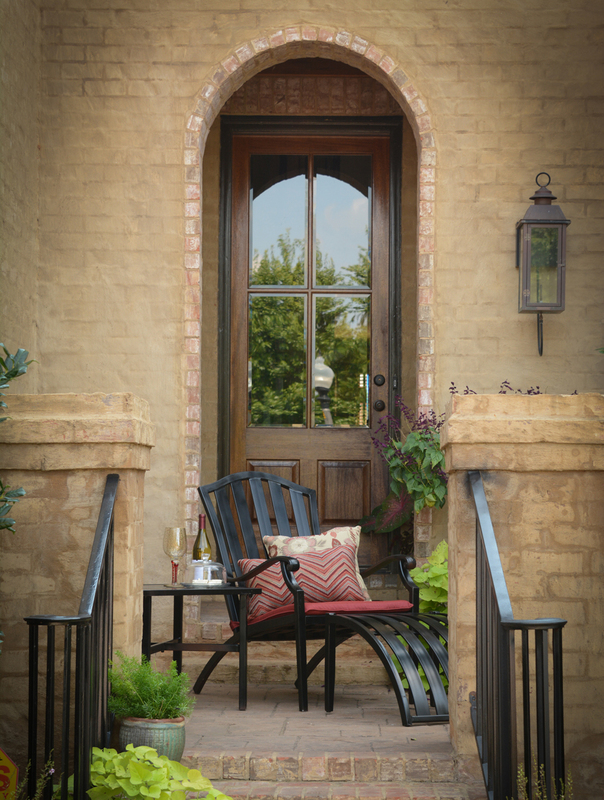 Phifer is committed to making outdoor DIY simple and fun, and we are always on hand to help. If you have any questions, get in touch with us! Our experts are standing by to give you answers and guidance over the phone, email or in live chat. We’ll help you jumpstart your project by connecting you with a local or online retailer who has your chosen Phifer Designed Fabrics in stock!